About | Jonathan W. Allen, Sr.
Called to share the wisdom garnered through God’s grace from his years of experiences in study, ministry, and entrepreneurial pursuits. Anointed and called to the service of spreading the good news of the gospel in every application including to congregations, families, and individuals. Sharing from the lessons learned in applying God’s sovereign Word in marriage, parenting, mentoring, and as a successful entrepreneur. 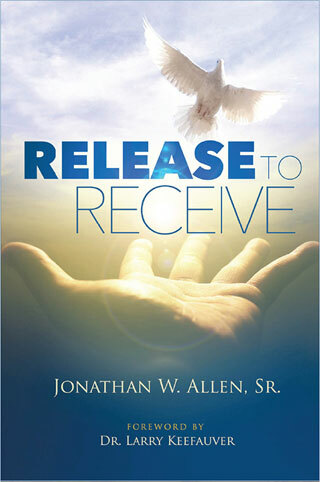 Pastor Jonathan Allen’s latest book “Release To Receive” (Xulon Press), published in January 2017, demonstrates his commitment to sharing the Good News in insightful new ways. Based on lessons from the biblical story of Hannah, “Release To Receive” shows readers how to enhance their faith, to overcome burdens, and create a gateway to the blessings God has in store for us all. The book includes 30 days of affirmations for readers to use to enhance their journey to transformation. “The central theme of ‘Release To Receive’ is based on identifying the things in our dark past that are hindering our bright future,” says Pastor Allen. 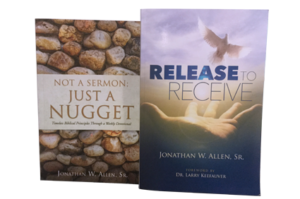 “Release To Receive” is Pastor Allen’s second book after “Not A Sermon, Just A Nugget” (Xulon Press), a weekly devotional that shares 52 biblical principles for readers to reflect on the Bible’s application to their ongoing walk with God. Both publications are available at Pastor Allen’s website jonathanallensr.com, Amazon.com, and other prominent booksellers. Pastor Allen received his calling into ministry at a young age, and his faith in God and commitment to a life of ministry are what drive his pursuit of helping others and doing the work he has been appointed to complete. A native of Washington, D.C., Pastor Allen is a graduate of New York’s Nyack College Christian and Missionary Alliance, and is currently pursuing his Master of Arts degree in Divinity from Virginia Union University in Richmond, VA. He is also a busy and successful independent businessman. 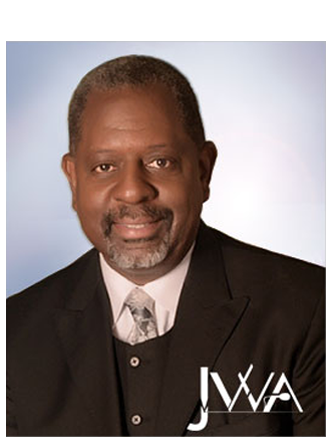 Currently President of Operations for FASTING Enterprises, founded by his son Jonathan Allen Jr., Pastor Allen has been recognized by the U.S. Small Business Administration as Prime Contractor of the Year; by Prince George’s County, Maryland, as Small Business of the Year; and by other local organizations for his outstanding business acumen and leadership. Pastor Allen and his wife Pastor Kim have two sons and two grandchildren. They continue to contribute to the community of Prince George’s County, Maryland, through their spiritual and entrepreneurial projects. 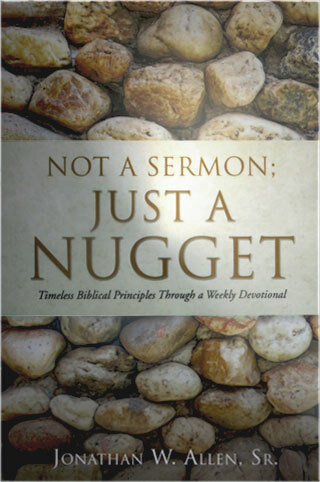 In this book, you will be invited to release the past and receive the new things God has for your present and future. Available at Amazon.com, Barnes & Noble, and Xulon Press. This is a devotional designed for individuals in all stages of life and is used for weekly Bible study, sermons and personal growth. Order your copy online through Amazon.com, Barnes & Noble and Xulon Press.